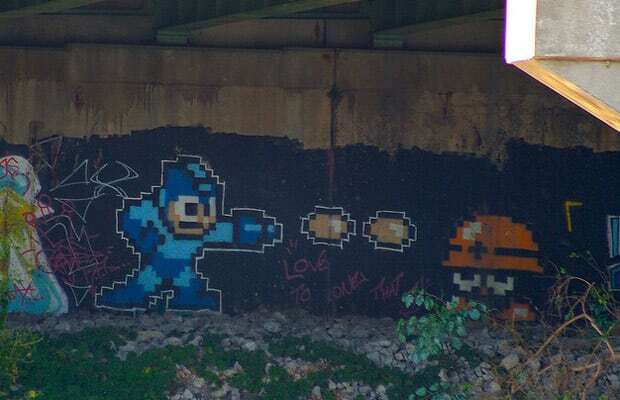 If you're going to be lurking under a bridge near the St. Joseph River in South Bend by Lake Michigan, you might as well keep an eye out for any Mega Man graffiti. Oh, also—get away from there! What's wrong with you?